Nancy began her career in the mortgage business over three decades ago, and is very well respected within the real estate industry. 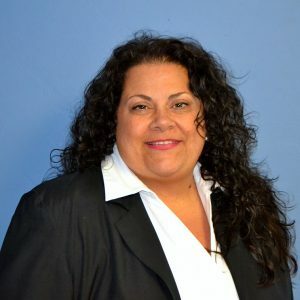 Nancy’s career has given her the opportunity to work in all aspects of the mortgage process from positions such as Processor, Underwriter, and Wholesale Account Executive for B2B sales to her current position at A.S.A.P. Mortgage Corp., as the Branch Manger of the Croton office. Nancy has extensive experience in the real estate and finance industry and utilizes this experience to assure that her clients receive superb quality, care and concern throughout the mortgage process. Nancy enjoys helping people fulfill their dream of homeownership and embraces challenge knowing that no two client are alike. It is with this knowledge and passion for the industry that she provides the unique service for her clients. Nancy is a Certified Military Housing Specialist where she assists military personnel, Veterans and their families in all aspects concerning their mortgage needs. She has in depth training in renovation loans including 203K and home style products. Nancy is a member of the New York Association of Mortgage Brokers and is an active participant in Washington, DC on legislative lobbying efforts on behalf of the industry. She is involved in several not-for-profit charities such as Autism Speaks & Make-A-Wish Foundation.